Gas lines are primarily used for Gas Heating, Gas Cooking, Gas Hot Water, BBQ Areas and Fireplaces. Do you suspect that a gas line or gas appliance in your home is malfunctioning? Gas can be volatile when it isn’t harnessed correctly in a safely installed gas appliance or gas line. If you notice a strong, sulfuric smell in your house, that’s the number one sign of a gas leak. Don’t ignore it. Give us a call at All Plumbing Works, licensed gas fitters and Sydney plumbers today. 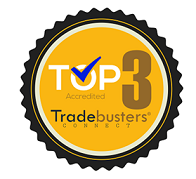 We’ve been named as one of the most trusted plumbers in Tradebusters, and we’ll head out to your home immediately if you suspect a gas leak. All calls are monitored and leaks and issues fixed within 24 hours when you contact us. 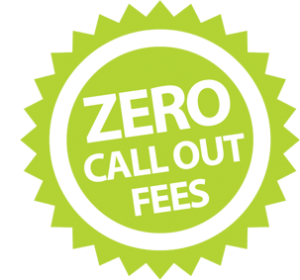 We don’t charge call out fees either. What is a licensed gas fitter? A licensed gas fitter is an expert who is trained, qualified, and certified to handle the repairs or installation of gas plumbing and piping for appliances and systems that are fueled by natural gas. 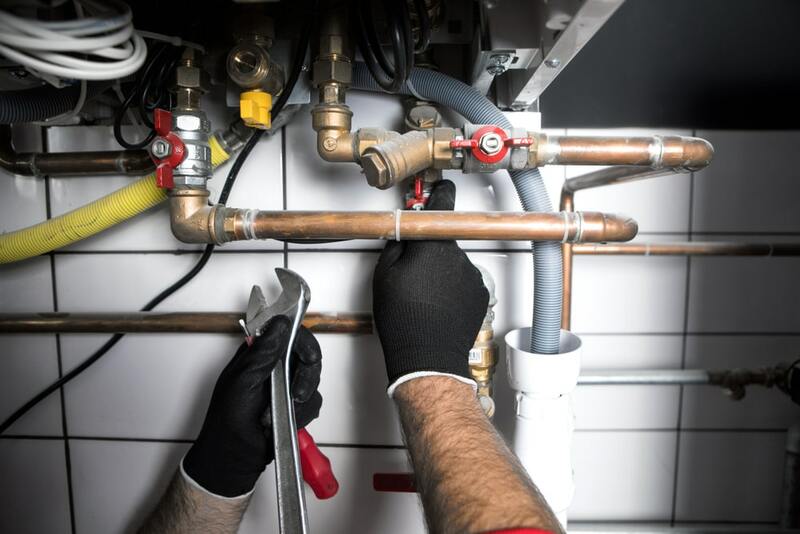 Our Sydney plumbers and gas fitters can handle the installation and repair of gas lines that are used for gas heating, gas cooking, gas hot water systems, fireplaces, and BBQs. You can find gas lines throughout your home, and gas lines are incredibly complex systems. Gas work that isn’t correctly installed or repaired can be extremely volatile and potentially dangerous. What happens if you don’t fix a gas leak or broken gas fitting? Natural gas is usually an odorless compound. That strong, sulfuric smell that you detect when a gas line is leaking was put in there by the manufacturers so you can get the leak taken care of immediately. Natural gas that isn’t correctly contained will emit harmful fumes and vapors into the air that you breathe. High levels of natural gas in an enclosed space, such as your home or garage, can kill you. That said, why would anyone want natural gas lines in their house? Despite the potential for danger, natural gas is still one of the safest, and cleanest-burning fossil fuels in the world. Millions of people in Australia use natural gas to run gas appliances, hot water tanks, and other modern conveniences. When natural gas is appropriately harnessed and burned, the main compound that it emits is harmless water vapor. Natural gas will also emit far fewer greenhouse gases than oil or coal. It’s eco-friendly and safe when you have gas lines installed and maintained by licensed and professional gas plumbers. What can All Plumbing Works install and repair in your home? If you think you have a gas leak, whatever it is you’re doing, stop. It’s also crucial that you do not flip on any light switches, turn on appliances, or do anything that will use electricity your home. That includes using a landline telephone. Go outside, and give us a call on your mobile or a neighbor’s phone if you think one of the gas appliances is leaking. If you’re experiencing chest pains or feel abnormally fatigued, call for emergency services. These are early signs of gas poisoning, and you shouldn’t ignore them. After you call us, we’ll head out to your location asap and get to work on the gas lines. Your home will be safe in no time when you use our reliable, local services. Do want to install a new gas appliance or hot water system in your home? Although gas leaks can be dangerous, they’re rare when you have a licensed Sydney gas fitter install and maintain your lines. We’ll gladly come out to your home within 24 hours after you contact us to get you set up with a new, modern gas appliance. 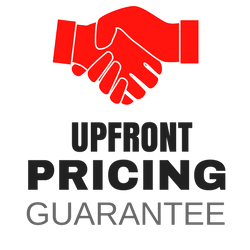 Our gas fitting services will be completed within the time frame you want and within your budget. Despite our affordable and competitive prices, we don’t skimp on quality. With over a decade of gas fitting experience in the Sydney area, we can handle all things natural gas related in both commercial and residential buildings. You’ll be glad you called us to handle your gas install and repair needs. 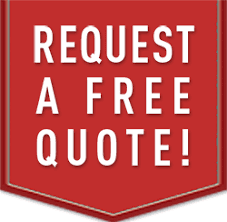 Contact us at All Plumbing Works today to see what we can do for you.